Loxi makes cyclists' life easier by allowing them to store their accesories (helmet, lights, safety vest, wet suit, gloves…) on their bike in a waterproof and secured bag of 9 liters. 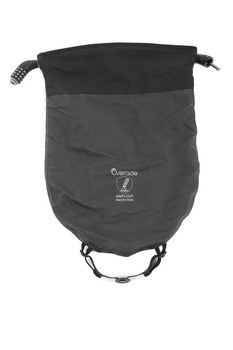 The outer layer is waterproof and includes a roll-top closure system. 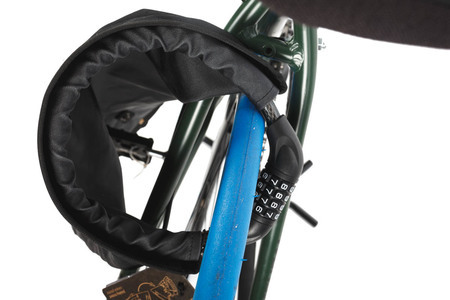 Safety wise, the 2nd layer of the bag is made of anti-cut fabric, A 12mm diameter cable with a 4 digits lock is inserted in the closure system to keep Loxi closed, also permitting to use it as a 2nd lock, to secure front wheels for instance. 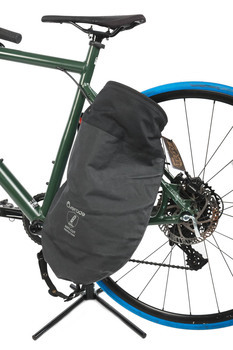 Loxi has fastening straps to use it as a rear trunk bag or to attach it on the bike when empty. Loxi is also existing in 4 liters, to store smaller items including Plixi Fit foldable helmet. Made of hard-wearing material, this practical accessory for the urban cyclist provides a convenient place to safely store bulky items such as a helmet on shopping excursions.